Recently, there have been a growing number of complaints by consumers who are reporting being contacted by their credit card companies or other “worthwhile” companies and organizations. 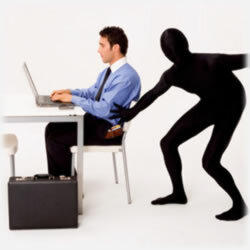 Forbes reports that identity theft is a $37 billion dollar problem – a number that increases every year. Not only that, but one in twenty-five of us will have our identity stolen at some point in our adult lives. Even with zero fraud protection credit cards, there still exists the potential for victims to have out of pocket expenses – in fact, on average, those expenses run around $630, according to Javelin Strategy & Research. Further complicating matters is the new difficulties associated with locating those who are willing to steal from others. Law enforcement has new technology, but frankly, the fraudsters seem to have a good grasp on what they’re doing – and what law enforcement is unable to do. Several government agencies are coming together to find solutions that will get these criminals off the streets. Here are just a few of the latest scams being reported to those government agencies. The FTC reports consumers are getting phone calls by so-called risk management representatives from their credit card companies. These telephone scam artists are lying to get people to buy worthless credit card loss protection and insurance programs. If you didn’t authorize a charge, don’t pay it. Follow your credit card issuer’s procedures for disputing charges you haven’t authorized. Your credit card company cannot force you to pay more than $50 for any unauthorized charges (though many don’t even require that). It also says worthless credit card loss protection offers are popular among fraudulent promoters who are trying to exploit consumers’ uncertainty. As for those companies that will “monitor” your financial goings-on to ensure your identity hasn’t been stolen or your financial information hasn’t been compromised, your credit card company is your best partner in these efforts. After all, with a growing number of credit card offers that include zero liability to its card holders, it’s to their advantage to stay on top of it as much as it’s to yours. There are simply better ways to spend that $20, $30 or $40 a month for a service that you already have. The thieves make donations to colleges in various charity drives sponsored by the educational institutions. After the donation’s been made, the criminals then call the college and say they used the wrong credit card and request their donation be refunded to another credit card. It can easily result in tens of thousands of dollars in losses for both the charity and the schools. The Better Business Bureau worked with law enforcement agencies to identify those criminals. Once they (criminals) see this is going to work, it’s game on. Another alarming effort being made by criminals is attempting to steal the identities of kids. A recent report details the emerging market for children’s identities as thieves seek to steal their social security numbers. These social security numbers can be used for years undetected; after all, a seven year old has no need for a bank account, a mortgage or a Visa credit card. By the time the little ones grow up and begin to need their credit, it’s only then they realize someone has had a head start – and have annihilated it. From cell phones to student loans, these young people face incredibly difficult times as they seek to restore their names. It’s important for parents to remain as vigilant over their child’s identity as they are their own. Parents can keep their children’s social security cards, medical records and other legal papers stored away and definitely offline. It’s no longer enough to just check your credit report each year. By the time you realize a problem with an annual effort, the damage could have long since been done. Experts are now encouraging consumers to take advantage of credit monitoring services. This brings your annual efforts to a daily basis, thereby allowing you to identify problems much sooner and with greater odds of preventing it. Most have fees, but it’s a small investment compared to what you face if you discover your identity’s been stolen or your credit card numbers compromised. Finally, the FTC advises consumers not to give out personal information – including their credit card or bank account numbers – over the phone or online unless they are familiar with the business that’s asking for it. Scam artists can use your personal information to commit fraud, such as identity theft. That’s where someone uses some piece of your personal information, such as your credit card account number, Social Security number, mother’s maiden name, or birth date, without your knowledge or permission to commit fraud or theft. An all-too-common example is when an identity thief uses your personal information to open a credit card account in your name. The biggest message in this is that there are many agencies that will help you not only identify the vulnerabilities in your finances, but they can also help with providing assistance in fixing those problems – even if your identity has been stolen or if you’ve been the victim of fraudulent activity. If your credit card is involved, it’s important to contact your credit card company as soon as you realize there’s a problem. To learn more about protecting yourself against credit card fraud and identity theft, call the FTC toll-free, 1-877-FTC-HELP (1-877-382-4357) or visit www.ftc.gov. Note that there are many free publications and consumer education opportunities on the site, too.